Recently I began thinking about Star Wars. Not the franchise, but the 1977 movie. That movie works very well on its own. It works off tropes that had been established for many years in space opera pulps and novels. I have always had a soft spot in my heart for space opera, its really my favorite type of science fiction. I'm sure that says something about me. there is something that I love about huge gigantic space empires, outer rim politics, fast spaceships and their bragging pilots, and the heroes that stand up for the little people. Flash Gordon has always been a favorite of mine. Flash was an earth man who found himself on a strange planet dealing with an evil emperor, and soon becomes a freedom fighter. Buck rogers isn't too far off of this mark either. For me space opera is positive. It starts with a dreary setting and introduces hope to it. Hope is really the theme that is so appealing to me. The heroes are shiny, if cliche, and I am OK with that! I love the cliche. I love the shiny. Its important to me, to have bad guys who are eventually going to loose. Star Wars does that for me. Luke Skywalker is a shiny hero, even Han has his positive qualities as the antihero. The good guys were good the bad guys were bad. When I think about Space opera the following passage from the Hitchhikers Guide to the Galaxy always stands out to me as an shining example of what space opera is. former Galactic Empire, life was wild, rich and largely tax free. Mighty starships plied their way between exotic suns, seeking adventure and reward among the furthest reaches of Galactic space. In those days, spirits were brave, the stakes were high, men were real men, women were real women and small furry creatures from Alpha Centauri were real small furry creatures from Alpha Centauri. And all dared to brave unknown terrors, to do mighty deeds, to boldly split infinitives that no man had split before -- and thus was the Empire forged." I haven't posted on here in a while. My plan is to change that. I am going to begin posting here again, and hopefully producing some new content as well. When I first envisioned this blog it was to have a place to talk not only about the things I love, but the act of being a fan. all of the things that goes with being a fan. The things we think about and the musings we have. Of course for those who know me, you will know that I am a huge Doctor Who fan, and that is usually my main fandom focus, but I want this blog to transcend Doctor Who and be about whatever fandom leads. Hopefully I will have a number of posts up soon, and a whole new bunch after the first of the year. Love and War Book Review. I have recently acquired a little extra time, and have decided to delve into my vast library of unread books this summer. As it turns out I have already started this with "Love and War" a Doctor Who book from The New Adventures line published by Virgin back in the 90s. This book may very well be the beginning of modern Doctor Who. It is obvious that Paul Cornell has a deep understanding of doctor who as it was at the end of the TV run. He delves deep into the dark underbelly of the show and the characters. there are several elements that are in the book that remind me a lot of the new Doctor Who series and I believe that is because Cornell's work was looked at in great detail. 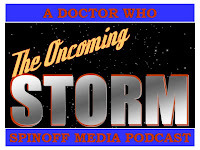 There are little elements like the Doctor being called "The oncoming storm" in some legends, of course this is changed to be what he is called in Dalek Legends, but it is still there. Also there are some character archetypes we have recently seen in the series that show up here. This book introduces the character of Professor Bernice Summerfield, a self proclaimed archeologist and strangely a thrill seeker. Her character is vaguely reminiscent of another archeologist we have recently met in Professor River Song. Now there are elements of the book (and really the whole line of books) that might put one off. these books were very much written for an adult audience and as I said delve into some darker territory. Characters, like Ace, become more morally ambiguous, and the Doctor becomes a man who plans and doesn't care who really gets caught up. He is willing to sacrifice people for the greater good. Now, we do see this on occasion, but in this book he is completely alien, which he is. That is what they were playing up, but his character is almost unlikeable. He treats the universe as a game, and can't be concerned with who may die. He is Times Champion and it is very obvious the editors of these new adventures wanted to play up the mystery of the Doctor. All of that said, the story flow is very much like a classic TV story. The unseen aliens sit in a green unfriendly glow and discuss their plans. It could have came right off of the screen. It was easy to visualize. The story concerns . . . well . . . essentially, zombies. zombies that are controlled and brought to life by sentient fungus creatures that live in a hive mind. It flows well, as you really get into Ace's head and see another side of the doctor. A side that is slightly repugnant as he lets his plans run their course no matter who gets involved, every one is a pawn. He sits and watches the game play out, as if he is a deity watching from above. He is continually reprimanded by the humans around him who can not understand why he does what he does. All in all the book is fantastic, and I recommend the read if you can take a slightly different approach to the character of the Doctor, and his companions. After five episodes Amy has finally been helpless. For me that is the highlight of the episode. The episode is a great second part to the first story of the two part series, and it is also extremely important to the story arc. Moffat revisits a lot of the concerns that fans have been having about the stories thus far, in regards to what the crack is, it is an interesting take. Back from last week though we get more of this future intrigue that I love so much. I love the Spaceship, this is something I miss a lot from the classic series. I love the forest as oxegen factory. I think that is ingenious. River Song becomes even more mysterious with illusions to her killing the doctor, which is interesting. But, Moffat has once again found a way to undermine every thing else in previous seasons, and maybe even the classic series with one line "time can be rewritten" this has always been the consequence to the doctor that time could NOT be rewritten. If it could woldn't the doctor go back and save Adric or any number of others, couldn't he rewrite Donna's fate? Now that said I suppose it is because of this crack. Back to the crack, I particularly liked the doctor calculating what it was in his head. This reminded me of Hartnel working a problem out in his head. IT is fascinating to watch and see what is going on in this story, as it is pivotal. . .
Now, lets talk about the end. Am finally tells the doctor she is getting married, and then precedes to jump on him because she "wants" him. For me she is another character in this scene almost as if she is trying to throw the doctor off the track, but of course this just helps the doctor figure something bigger out. And it is what I have been saying all along. Amy is the the story arc. . . I'm just not sure how it all fits in. Thoughts on "The Time of Angels"
In my opinion, this may be the best pre-credit sequence we have had since the new series began. There is one thing that for me has always been a favorite aspect of Doctor Who, and that is Space Intrigue. I feel this is something that has been missing from the new series. I wasn't expecting much from this story. I felt the Angels were kind of done (done well but done) and I also wasn't a big fan of River Song when we first met her, but I have to say this story made both of them a little better for me. Now that said there were still bits of plot hole, but it felt much smaller to me. I really dig this future church setting that Moffat has created, the titles put me in mind of Warhammer 40K. The future is bright and grim all at the same time. I have to say I like this episode. Now I think the setting would have been just as cool with something other than the angels. IT has a very predator feel to it, the doctor and his friends are very much being hunted. They have in effect landed in a birthing chamber of thousands of Weeping Angels. The Mystery of River Song is still there, and there are new elements, She knows Old High Gallifreyan (a good shout out back to the Five Doctors), and hints that River Song is something . . . special. . . but I'm not really sure what that is. The pacing felt as if the new team has finally gotten the feel of the series, but there are still some very odd moments. River driving the TARDIS is a bit odd. And the "you leave the Breaks on" comment is just out. that's just screwing with cannon for no reason. Amy still has a "I don't need anyone else" moment, which is fine, but we have been showing no past skill set that allows her to have that element, Please keep in mind that she was a "Kiss o Gram" so I do have some problems, but I feel like over all it is a vast improvement to what we have seen the last two three weeks. Victory of the Daleks. . .
To continue my Season 5 series of reviews I am going to take a look at Victory of the Daleks. This story jumps right in where the teaser from last week left off. . . well actually about a month later. For me the first part of this episode feels like a Dalek story of old. Which think is wonderful. You have some Daleks that have a plan, and they do some very interesting things to keep it going, serving humans tea. The acting for me was solid, and on par. Nick Brigs is perfectly on as the voice of the Daleks. Matt Smith is beginning to slip into the role for me. This episode slips between Troughton and Davison style of the doctor. You also see an intense Hatred from him for the Daleks, that I am not sure we have seen the like of before. Smith is very good at portraying the emotion of anger. The intensity of the scene when he breaks down and confronts the Daleks is great. Amy's charecter stays as it has as well. She is mysterious. She doesn't know the Daleks even though the Doctor feels she should. Once again Amy seems to have all of the answers. I am sure this has something to do with the arc, but I'm not sure where it they are going with it, because at this point sometimes there is no need for the doctor at all, because Amy can solve all of the problems. I really have no issues with the new Daleks, other than I feel there was no need for a redesign. The story is solid for me as to where they came from, however it does break down for me. The device the Daleks have contains Dalek DNA, which if used properly by pure Daleks would alow pure Dalek MUTANTS to be built from it. Where did the armor come from? I liked the fact that the Time War Daleks sacrificed them selves for the purity of the race, it seemed the Dalek thing to do. The Dogfight at the end was fun to watch. The vocabulary that was used was a bit over the top for my taste. but I liked that element of the story. Winston Churchill was great done well, not too over the top. I think he way he was portrayed worked nicely. All in all I liked the story. There were some bits that I would have prefered to be tightened up, but I feel it is the best soty of the three episodes we have seen so far. I am excited about going forward with this. Here is the first my life with fandom video review. This review takes a look at the 11th Doctor's new Sonic Screwdriver toy from character options. We are a Critical lot of people! Its funny how things change over time. 5 years ago Doctor who fans rejoiced that their favorite show was coming back. We thought it deserved to come back. That it NEEDED to come back. We complained about the BBC not bringing it back. We got it and we were happy. We were on top again. We had our show. But of course that happyness couldn't last forever. Doctor who fans like to complain. We are critical of what is given to us. I suppose that tells you something about our mentality. I think the new series is GREAT, but that doesn't stop me from complaining about things that don't make sense, like Tinkerbell Doctor. You have to ask your self what you would rather have. No new Who, or the occasional story that you don't really buy. For the most part the new series of doctor who has been Great, and worthy of the mantle, often times completely going beyond classic who. We have just recently been introduced to Season 5 and Matt Smith. Of course as is expected there are those of us who are being overly critical. I am one of those. I have been analyzing these new episodes more than I ever have any other story. It becomes cumbersome and I tend to just sit back and enjoy the story. I have loved the past two episodes and I believe they are fantastic stories, but I have had some criticisms, but I hope those criticisms will come to a close once an over arching plot it pulled together. While I was at watching the Beast Below I deided I would also give a watch to the new K-9 series. Well it is what you would expect. It is a kids show, but not to the quality of say, sarah Jane Adventures, it looks more like Power Rangers. This is an austrailian production and it seems like it airs on the Australian Disney Channel. The quality is rough at best. This is not the BBC or Doctor who, so don't expcect that quality of program. For all of its flaws it is good escapeism if you can stomach the faults of the program. Ok, so I figured I would continue the trend I started last week and share my thoughts about the newest Doctor Who episode. The beast below starts off with a cliffhanger, and is very interesting. You get to see what appears to be a school on the the starship UK and a strange system of punishment for not doing well at school. It was intriqueig and had the hand of Moffat all over it! Then we see the Doctor and Amy. At this point I feel Matt smith is well into the role as he is really fitting in well with the part. There is a bumbleing inocence to him, and it is very remenicent of Patrick Trouton. He's a genious but you wouldn't know it from looking at him. Amy is still wide eyed and doesn't know quite what to expect, BUT she jumps right into the action. Once they land we get another "what am I missing scene" similar (but not identicla) to the one that we got last week. The doctor seems to have an answer to every question that is asked including where people are going. Now this is where it gets interesting. Amy is fearless, actually doing things that the doctor usually does when she decided to not be kept out by a keep out sign. This seems odd to me as to why she would not be a little more shell shocked than she is. and now we begin to see more of the mysterious smilers. SO that is a rundown of the first bits of the episode. Now I want to share some thoughts about the show. You meet the smilers but you never really find out their purpose. I quite liked the idea of the queen however it never really talks about ehy she made to slowly age. There are things like this that really didn't make a lot of sense to me. They are keeping this theme of looking at every thing, when the camera pans into an eye and then you see things that are important, it feels CSI to me, and I'm not sure where they are going.. I am still not sure where they are going with amy's character, but I am sure there is an arc dealing with her. The TARDIS being thought of as a ship again. The next episode starting in this episode. Winston Churchill calling the doctor on the TARDIS phone. Liz10 I like her interesting twist. I think it is a good episode but I would have liked a bit more explination of what was going on I felt like there were a lot of little things left out, perhaps for time reasons. I'm sure I will think about more issues on a second watching but this is just a first impression. I've been pondering over The 11th hour for a while now. I watched it with a mind set that I really like Matt Smith from what I have already seen, and that I REALLY like and trust Moffat. I wasn't let down by a really great Doctor who story, however I feel like I have seen some of this somewhere else. Right away the Doctor jumps into action, which is strange for a regen story, but it is a great twist and a great introduction to the new doctor, and I believe doctor who in general. I love Amy both young and old amy, and I couldn't help but feel for her, her whole life is grounded by disapointment, and unfortunately the doctor doesn't help things. Through out the history of the show, as much as the Doctor may bungle things up the good guys don't usually suffer for it. Amy has. This girl is literally crazy, and slightly off because of him. I feel this is a a brave move on Moffats part, and I know this will come into play again through out the series. I think after 46 years Moffat may have broken a mold that even RTD wasn't willing to break. The doctor is Dangerous, and even though that is something RTD started out with he never really followed through. Matt Smiths Doctor is a force to be reconed with, but he has flaws. And with his flaws others suffer. Now the part that I feel I have seen before. In this story we experience the doctor alwasy ending up at a later point in Amy's life. . . where have we seen this before. . . lets think back to another moffat story: The Girl in the Fireplace. In this story the doctor keeps eunning in and out of Madame Depompedor's life and ends up missing her to take her with him. Moffat also wrote this. I have been very possitive about Moffat and trust him with the property, but I hope that he does not turn out to be a 1 or 2 trick poney. At the moment I don't think he will but I do think this season will continue to be remenicent of Girl in the fireplace. Based on the first episode and a few spoilers that I know I am going to guess at the rest of the season and how right I end op being at the end. Spoilers may follow so read at your own risk. . . . . I know for a fact that The doctor will miss amy again at an awkward time in her life, so I think this may be a theme and am going to predict that he may also miss amy again and show up when she is really old toward the end of the sesason. We know stonehenge is involved in the finale, and we know that there is something about a Pandora's box of sorts that is already set up in Episode 1. I believe stonehenge is a key to a prison, or is a prison itsself and is about to be unlocked. I believe we may see some other classic monsters this season other than the silurians. We don't know about the big bad yet, so I think we may see somethig slightly familiar toward the end f the season. I do want to say that I believe that the 11th hour was fantastic and I believe we are in for a great season. There is a new technique in this production, it feels new and invigorated so I belive that we are in for a GREAT adventure this season.